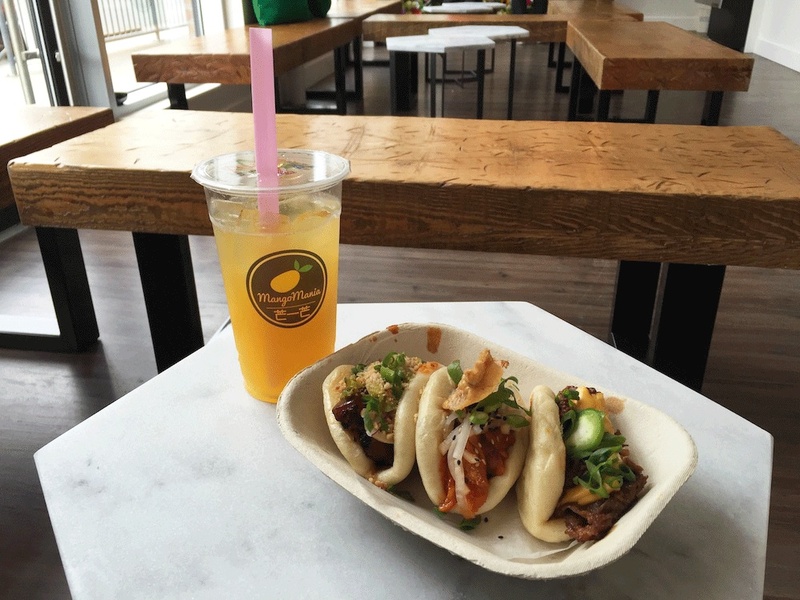 Mango Mania serves up pillowy baos and mango-inspired drinks in Crescent Heights. Mango Mania, a new quick service takeout restaurant inspired by the mighty mango, opened its doors in early September. Located in Crescent Heights, Mango Mania specializes in pillowy baos stuffed with savoury fillings and mango-inspired drinks, teas and smoothies. It’s even open late (until 11 p.m. from Sunday to Thursday and 2 a.m. on Fridays and Saturdays) for all your late night snacking needs. There are five fillings for the baos: braised pork belly, spicy Korean chicken, roast duck, bulgogi cheesesteak and miso mushroom. Get one for $4, or mix and match any three flavours for the $12 bao trio, which comes with your choice of the green mango salad or a free dessert. The drinks and desserts are where the mango madness comes in. Mango Mania’s large selection of signature blended and shaken drinks includes mango milkshakes, mango lemonade, fresh mango milk tea and more. You can add toppings to your drink like tapioca, handmade mango mochi or pieces of Ataulfo mango from the Philippines. There’s also a mango panna cotta and mango pudding for dessert. 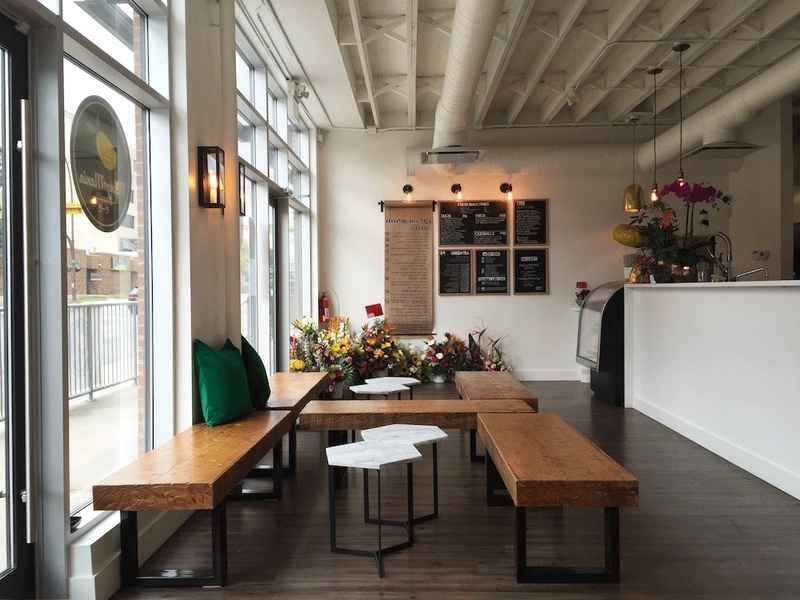 Inside of Mango Mania in Crescent Heights, where you can grab your food to go or take a seat on one of the wooden benches. 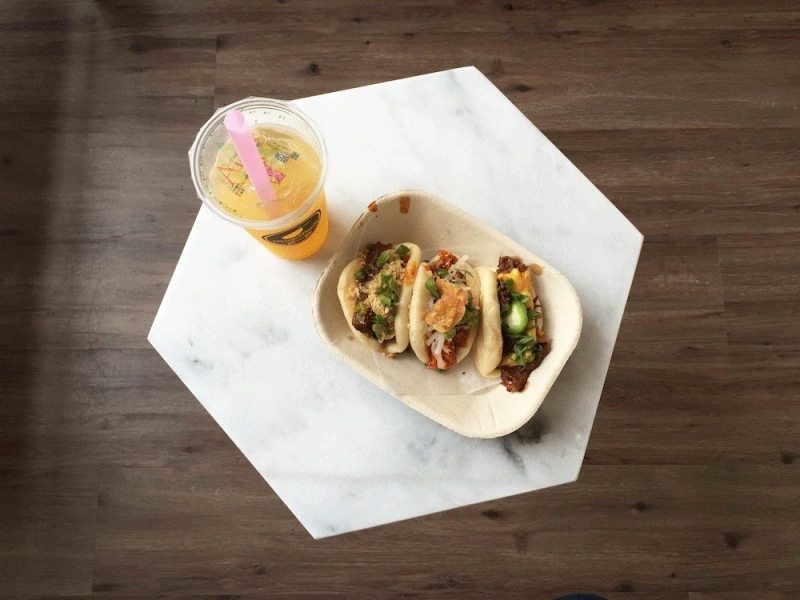 The mango lemonade is a refreshing accompaniment to the bao trio. The pork belly, spicy Korean chicken and bulgogi cheesesteak baos are featured here.